If you walk in the busy streets of new York and happen to find yourself at the corner of Central Park South and Central Park West, you will be met by the magnificence that is Trump International Hotel and Tower. 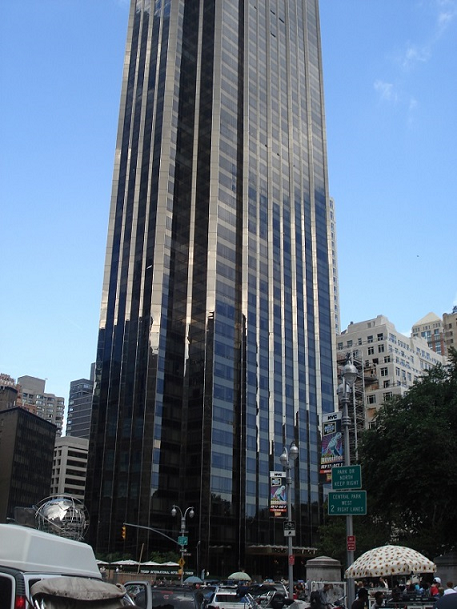 The address of the property is 1 Central Park West, Zip code 10023, New York. This building is one of the eye-catching icons of the New York skyline. Before this part of New York was graced by this magnificence, there was at the same place a former office tower known as the Gulf and Western. 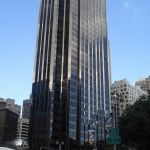 This office tower was then brought down, and the Architect Philip Johnson actualized his vision to facilitate the construction of the award winning Trump International Hotel and Tower which opened its doors in 1997. The building has 52 stories that shadow Columbus Circle below. The building comprises of 158 condominium resident suits, 158 hotel condominiums, and the state of the art restaurant, Jean-Georges. These spaces arguably have the best views in the city since the entire city and central park are within the field of view. Upon first glance at the building, one notices its elegant exterior finishing. The exterior can be described as a curtain wall, the effect is created by small triangle protuberance that run from the ground to the top of the building. The windows that cover the entire building have been given a copper tone that create a marvelous spectacle for any observer when the sunlight is reflected from the building. Since the building has several users including the hotel, restaurant and private residents, the entrance to the hotel and private residence are separate. The apartments start on the 23rd floor of the building. The building has several amenities including concierge, a garage with valet parking, a health club, pool and sundeck. The building provides one of New York’s rare amenities which is space. There is spaces in the rooms within the building is big since the ceilings are high. Visitors to New York should take their time to visit this building be it just to catch a glimpse of it or even to enjoy a sumptuous meal at the restaurant. The architecture employed in this building is world class and can be a point of reference for anyone interested in high-end building designs such as architecture students. The Trump International Hotel and Tower building adds to the uniqueness of the New York skyline and shall be a treasure to the city for years to come.